Career Transactions: Originally signed with the Denver Broncos as an undrafted free agent on April 27, 2009...Waived by Denver on Sept. 1, 2009...Signed to the Miami Dolphins' practice squad on Dec. 23, 2009...Signed by the Denver Broncos to the active roster on Dec. 30, 2009...Signed by the Broncos on April 4, 2012...Waived by the Broncos on Aug. 30, 2016...Signed by the Cleveland Browns on Sept. 3, 2016. Tied a team record with 32 punts inside 20-yard line in 2018…Set Broncos (42.1 in 2012) and Browns (40.6 in 2017) franchise records for net punting average…He and his family members Jimmy (cousin), Dustin (brother) and Craig (father) are the top four punters in Tennessee history…He and Dustin became the first pair of brothers to punt in the NFL since 1941. 2018: Voted captain by teammates…Finished tied for sixth in NFL and tied a team record with 32 punts inside 20-yard line...His career-long 79-yard punt in Week 6 was second longest in team history (Horace Gillom, vs. NYG, 11/28/54) and tied for longest in league since 2015 (Jordan Berry 79 vs. Ari., 10/18/15)...(9/9) vs. Pit. : Punted career-high 12 times (43.5 avg., 37.2 net) with career-best six inside the 20-yard line. 2017: Voted captain by teammates prior to season...Set Browns record with 40.6 net avg., surpassing his own mark set in 2016 (40.3)...Set career-high 47.6 gross avg., which ranked fifth in NFL...Tied career best with only two touchbacks. 2016: Averaged 45.3 yards (40.3 net) on 83 punts with 22 inside 20-yard line and two touchbacks...His 40.3 net avg. set a Browns franchise record...One of only two NFL punters (Rams Johnny Hekker) with two or fewer touchbacks and min. 50 punts...Spent offseason, training camp and preseason with Broncos prior to joining the Browns...(10/16) at Ten. : Punted seven times (50.9 avg., 43.7 net) with one touchback and 65-yard long...His 65-yard punt is tied for fifth-longest by Browns since 1999. 2015: Appeared in 16 games, punting 84 times (43.6 avg., 39.7 net) with 22 punts inside the 20-yard line and four touchbacks...Member of the Broncos team that won Super Bowl 50…Placed the fourth most punts inside the 20 in NFL history for a single postseason with nine. 2014: Appeared in 16 games, recording 69 punts (44.2 avg., 37.6 net) with 25 punts inside the 20-yard line and four touchbacks…(9/21) at Sea.  : Tallied a season-high eight punts for 378 yards (47.3 avg., 42.8 net) with three inside the 20…(11/9) at Oak. : Marked a season-long punt of 65 yards. 2013: Appeared in 16 games, recording 65 punts (44.5 avg., 38.8 net) with 23 punts inside the 20-yard line and three touchbacks…(9/5) vs. Bal. : Tied a career high by placing five punts inside the 20-yard line. 2012: Appeared in 16 games, recording 67 punts and averaging 46.3 yards a punt with 27 punts inside the 20-yard line and four touchbacks…Set a franchise record with a 42.1-yard net average on the year…Ranked third in the league with a net average of 41.1 yards…(9/17) at Atl. : Set a career long punt of 67 yards. 2011: Appeared in 16 games, recording 101 punts with a career-high 33 punts inside the 20-yard line and seven touchbacks…Set Broncos records with a 47.4-yard gross average and a 40.2-yard net average on the season. 2010: Appeared in 16 games, recording 86 punts (44.6 avg., 36.6 net) with 19 punts inside the 20-yard line and seven touchbacks…(12/12) at Ari. : Tallied a career high 56.2-yard gross average on five punts. 2009: Spent the season on the practice squads of the Miami Dolphins and the Denver Broncos. Appeared in 43 games for Tennessee, finishing second on the school’s all-time punting avg. list…Totaled 209 punts (42.6 avg.) with 73 punts inside the 20-yard line…As a junior in 2007, earned second team All-SEC honors…As a sophomore in 2006, earned consensus first team All-SEC honors. Native of Knoxville, Tenn…He and his family members Jimmy (cousin), Dustin (brother) and Craig (father) are the top four punters in Tennessee history…Craig won two Super Bowls with the Steelers, while Jimmy punted for the Seahawks in 1985 and Dustin is a two-time Pro Bowler for the Chiefs…He and Dustin became the first pair of brothers to punt in the NFL since 1941. High School: Attended Bearden High School in Knoxville, Tenn., where he earned all-state honors as a junior and senior…Also played soccer and won two state titles as a forward. Community Involvement: Volunteered at the Browns Golf Tournament and during Military Day at training camp.